At Angus Firth Design we are committed to ensuring that your installation provides many years of safe indoor play. 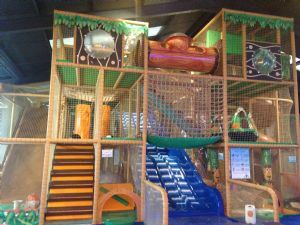 We offer a maintenance service that keeps your installation in top condition, and can respond to any soft play equipment issues quickly and effectively. 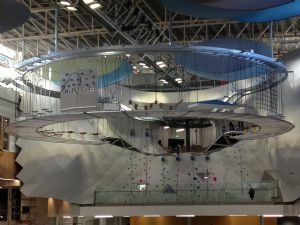 In order that your installation never falls below the standards and regulations set, Angus Firth Design can provide a regular inspection service as part of the soft play maintenance package. The central factor in maintaining a safe indoor play area is a regular, systematic and informed inspection routine, which should be followed by prompt maintenance once defects and repair needs have been identified. A recommended inspection schedule is given in the Operations Manual, provided by Angus Firth Design. This details categories of inspection which should be programmed once a new facility has been installed or an existing facility undergone a major refurbishment. It also suggests when and by whom inspections should be carried out. Particular attention is drawn to the need for documentation of inspection and maintenance. This should include details of action taken and confirmation of all remedial work carried out. This written record should be carefully and systematically maintained and stored, so that the results can be made available for examination by any interested authority. It should be noted that in the circumstances of an accident leading to litigation, claims might well be made which focus upon defective equipment, unsafe equipment or surrounding area, or inadequate supervision. In such cases the insurance company or court will need to be satisfied that the play area operator has taken all reasonable measures to avoid accidents and losses. A system of safety inspections is viewed as an essential part of that process. Finally, a close monitoring of inspection forms over a period of time will identify inherent defects or weaknesses for which a more permanent solution will be required. Each facility should hold a soft play maintenance log for recording the results of all inspections and any remedial action taken. If you find your play area capacity is too small, Angus Firth Design can help and advise on how to expand.